Nestled between lively Covent Garden and the Strand, this London office space provides an incredible location for creative designers, innovative tech companies, financial institutions, and more. 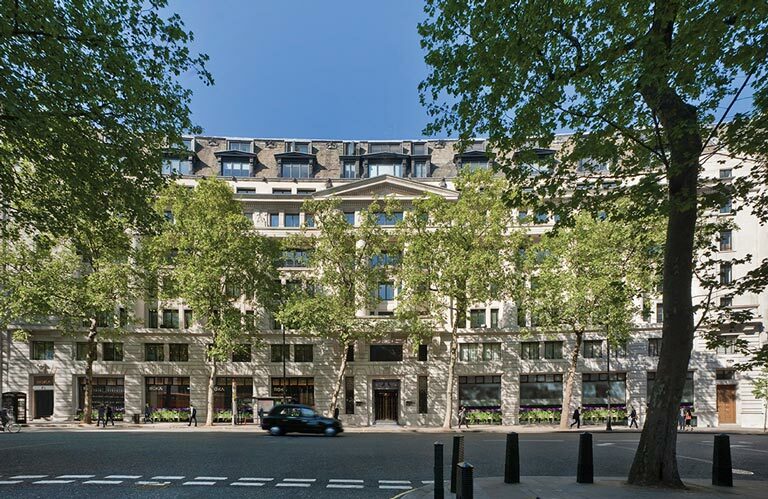 Aldwych House is boldly designed office space in a chic, historic building. A private terrace can be utilised by all for relaxing breaks. The building is old and was in need of refurbishment and so was the air handling. The previous unit was placed in the basement level where space is very limited. The external condensers took up the terrace space. We suggested our solution with integrated cooling and heating which was very well received. With its compact dimensions, Envistar Flex with ThermoCooler HP fits perfectly in tight spaces. Since there was no need for an external chiller or condensers the complete installation was in the plantroom. The terrace could then be used as a breakout space rather than a plant space.